Amphibia is the class of animals that is characterized by being cold-blooded; having a backbone (vertebrate); having an aquatic, gill-breathing, larval stage; and having a terrestrial, lung-breathing, adult stage. According to AmphibiaWeb there are currently approximately 6,300 amphibian species worldwide, 90% of which are frogs. There are 292 species in the United States. 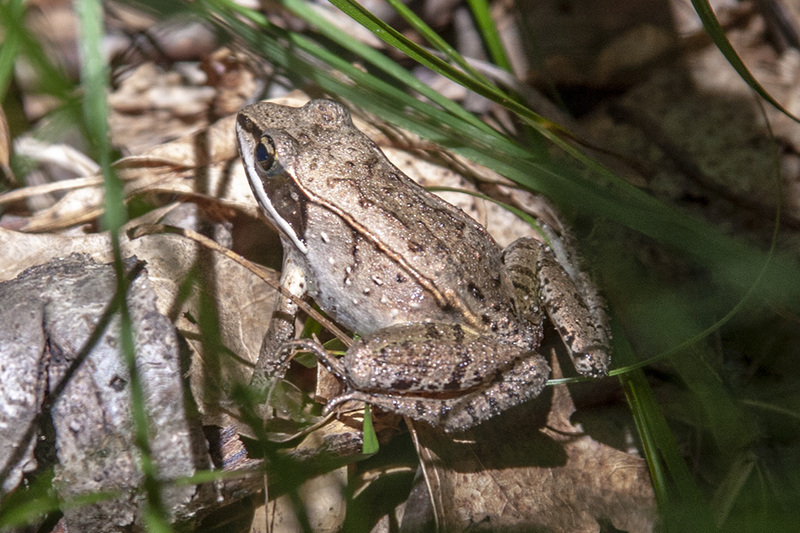 According to the Minnesota DNR there are 22 amphibian species currently found in Minnesota. Green frog (Rana clamitans) is a mid-sized true frog, the second largest frog in Minnesota after only the American bullfrog. It is common throughout the eastern United States, less common in Minnesota where it is at the western edge of its range. It is an aquatic frog, found in large marshes, streams, deep ponds, larger lakes, and roadside ditches. Green frogs are often seen on a shore within one quick leap to a body of water. They hunt by sitting still and waiting for prey to cross their path. The mating call can be heard from May through July. It is usually described as the sound of plucking a loose banjo string, “plunk”. The call is a single note but is often repeated. No other frogs in Minnesota sound similar. 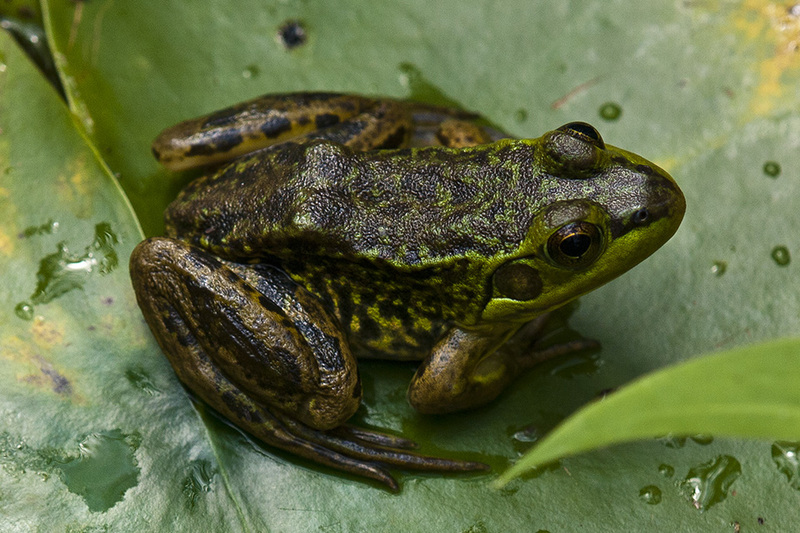 Green frog is distinguished by the large size; the prominent back ridges (dorsolateral folds); and the fourth toe on the hind foot, which is not webbed beyond the second joint. Eastern tiger salamander (Ambystoma tigrinum) is the largest terrestrial salamander in Minnesota. Adults are usually 6¾″ to 8⅝″ in length but have been found as much as 13¾″ long. It is common throughout the state except in the arrowhead region, where it has not been recorded after 1960. It is found in prairies, woodlands, agricultural and residential areas – pretty much everywhere. It is a voracious feeder, eating any animal small enough to be captured and swallowed. 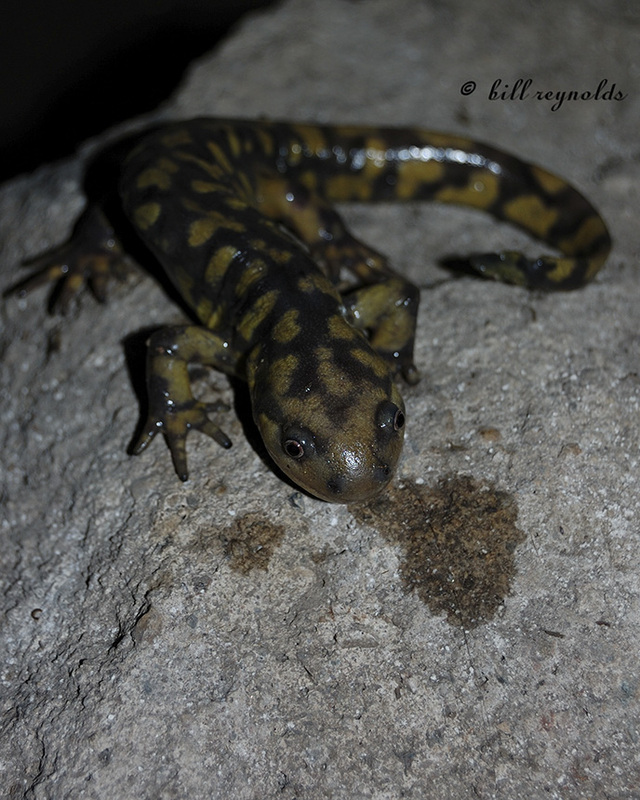 Like all salamanders, eastern tiger salamander is rarely encountered by humans. 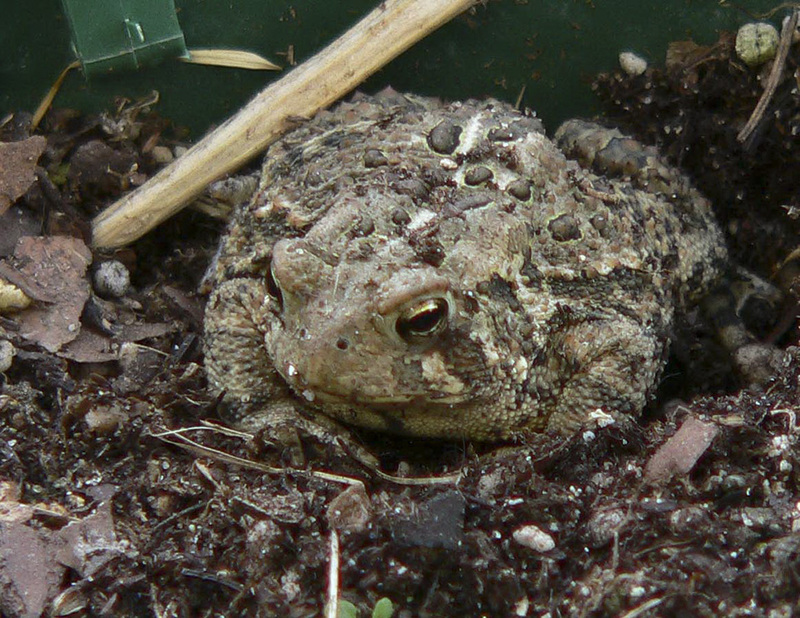 It is occasionally found in window wells and damp basements, and is sometimes seen above ground at night during and after a rainfall in the spring breeding season. 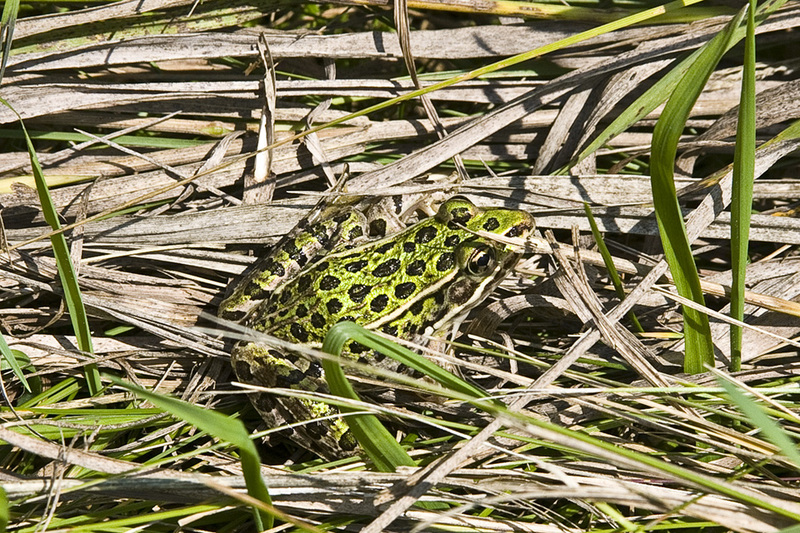 Northern leopard frog (Rana pipiens) is a slim, medium-sized, widely recognized, true frog. It is widespread and very common, occurring in every county in the state. It is found in woodlands and grasslands, always within about a half mile of a waterway, water body, or wetland. Most adults are green on the back (dorsal surface) with 2 to 4 rows of rounded black spots. However, background color and spotting is variable and there are two distinct color morphs. Some adults have a greenish-brown or brown background. The Burnsi color morph is brown or green with no dorsal spots. The less common Kandiyohi color morph is brown with flecks of white, brown, or black between the spots. Juveniles may have few or no dorsal spots. 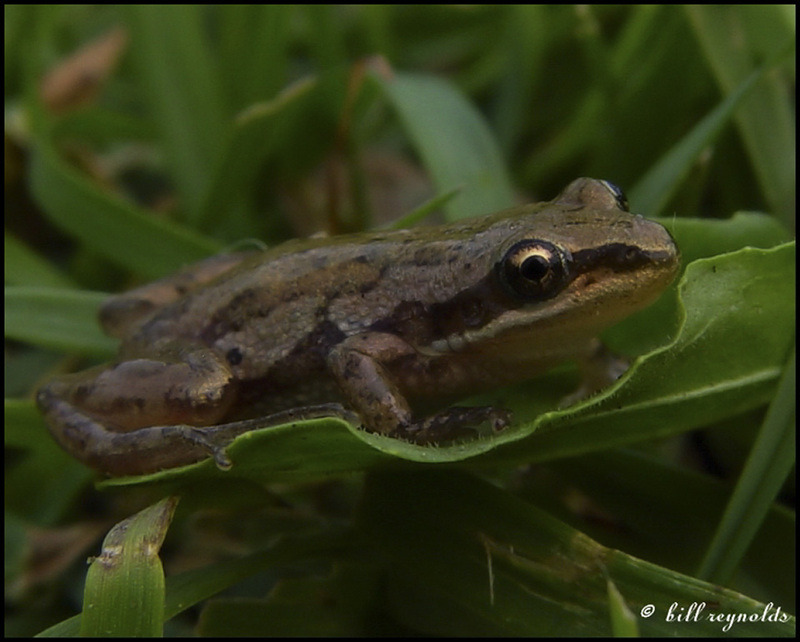 Boreal chorus frog (Pseudacris maculata) is one of the smallest frogs in Minnesota. It is found throughout Minnesota in shallow wetlands, shallow parts of lakes, temporary pools, and grasslands near wetlands—always near woodlands. With their short legs they are not very acrobatic and do not climb well. They are the first frogs to appear in spring, emerging in late March or early April when snow and ice may still be present. Males call from when they first emerge to late July. Their distinctive call sounds like a person running their thumb across the fine teeth of a pocket comb.